When you have a great watch, it’s more than just a way to keep track of time. It’s a companion that you take with you everywhere you go. 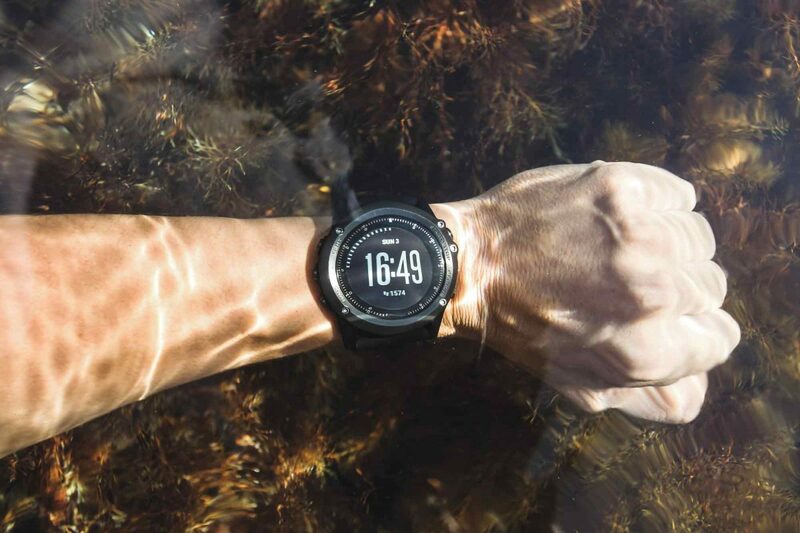 It doesn’t matter what water sports you take part in, whether paddle boarding, surfing, or kayaking, you need a watch that can keep up with you even in the water. Choosing the right waterproof watch for yourself comes down to multiple factors beyond just your own personal style. The best watches are going to have great features like timers and stopwatches. They’re also going to allow you to dive deep into the ocean without worry. The best waterproof watches out there are water-resistant to many feet and will handle multiple dives without trouble. Whether you’re snorkeling or diving off of a boat, we wanted to make choosing the right watch a breeze. That’s why we’ve compiled a list of 10 of the best waterproof watches out there. This watch features a well-made stainless-steel case. It measures 42 mm across and is 13 mm thick. It’s also a reasonable weight at 7.04 ounces. 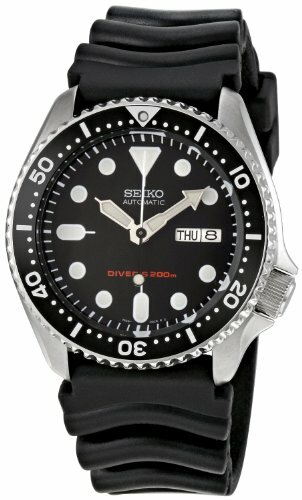 The SKX0007K is ISO 6425 certified, which is that standard used for diving watches. It has the look of a classic diving watch and is water resistant to up to 660 feet. While it comes with a rubber strap, it has lugs that are 22 mm apart which makes it easy to swap out a different band. This watch looks classic for Seiko and features a huge dial without numbers on the face. Instead, it opts for large circular markers. The white markers are set on a black background which makes it super easy to read in any light. The markings are also quite large which makes it possible to read underwater. It also features a day and date calendar at the three o’clock area. The face has a non-reflective Hardlex Crystal covering that is tough and shock-resistant. This is a fully automatic watch which doesn’t require winding or need a battery. It also uses Seiko’s Lumi Brite paint to allow the hands and dial for easy view of the time. After putting the watch in the light, artificial or natural, it will glow for up to five hours in the dark. If you’re the sort of person who appreciates having extra features on your watch, the Rangeman by Casio might be right up your alley. It offers a digital compass which helps with determining your orientation even when underwater. There is also a thermometer so you can watch how long you’re in the cold. You can also set up to five daily alarms. On top of that, the watch offers a countdown timer, stopwatch, and automatic LED features. This is also a very durable watch that will happily join you on dozens of dives to depths of up to 660 feet. It also runs just fine in the cold with freezing resistance down to 14 degrees Fahrenheit. 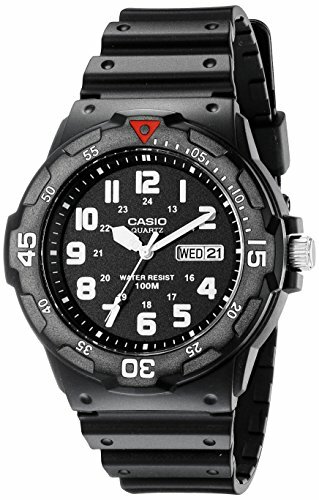 While Casio might be a brand you think of as a bargain watch brand, that doesn’t mean this watch isn’t perfect for what you need while in the water. The watch has a digital display that you never have to worry about setting. It is set atomically using satellites to keep the time right at all times. It’s also solar-powered and can run for months without needing to be exposed to sunlight. The Casio Rangeman is a great watch for adventurers whose journeys send them into the water at least part of the time. 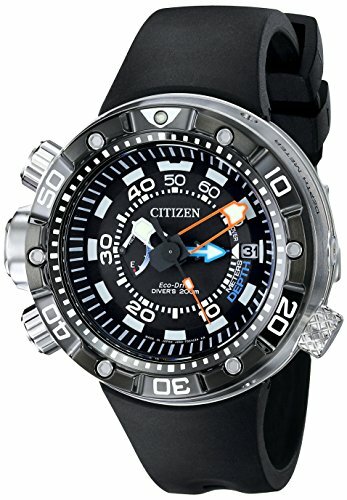 The Citizen Promaster watch is a great companion no matter what adventures you take off on. It features Eco-Drive technology which uses light to ensure the battery stays charged. Both artificial and natural light are converted into solar energy, so you don’t have to stress overcharging. Even a few minutes of light a day will keep it in great shape. The watch body is created of stainless steel, which looks great underwater as well as on land. The dial is 45 mm across and has a one-way rotating bezel which allows you to track exactly how long you’ve been in the water. The lack of a battery means you never need to open the case, which also speaks to the fact that the Promaster will do just fine when hitting the water with you. The watch band is polyurethane which is both comfortable and durable, plus it won’t collect any water sports after a dive. 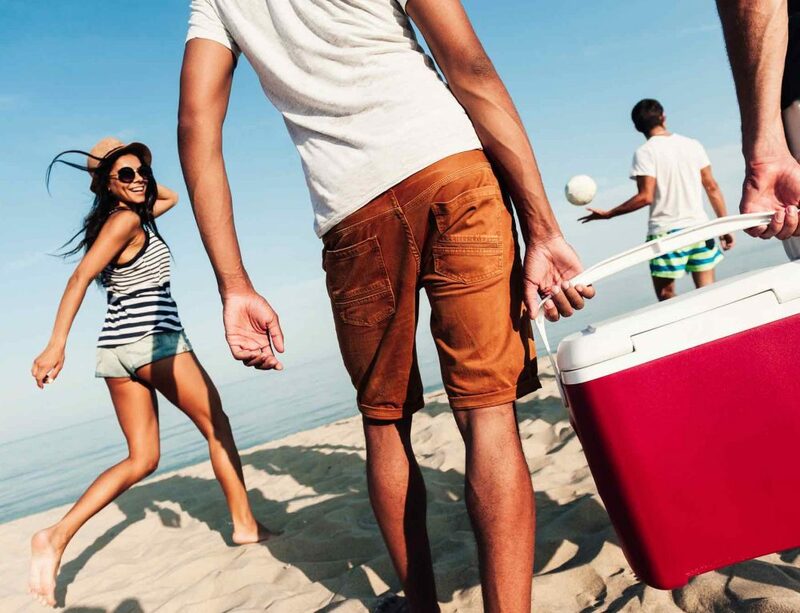 You can rinse it off and be ready to go and do whatever the day has in store for you, whether fishing off a paddle board or heading to a business meeting. 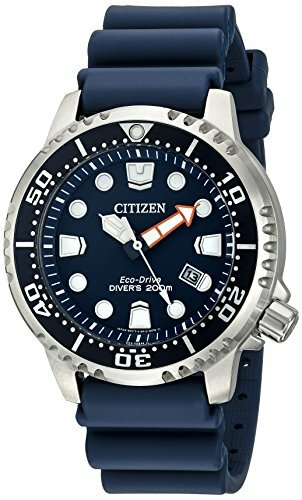 All in all, this is a great watch for those who often spend time on or in the water and is has great features to make it even more essential. 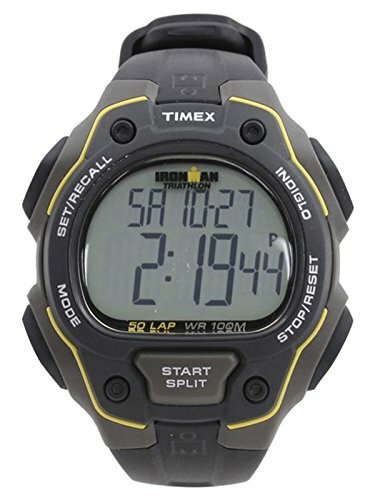 The Timex Ironman Classic 50 has a lightweight build and is sealed for water resistance up to 330 feet. The strap is made of a durable resin that can take a beating and keep right on going. The face is oversized and the color combination is casual with grays and blacks. It’s a sporty watch that has a digital display for easy reading and also offers an alarm and countdown timer. This watch has an Indiglo night light for luminescence when swimming late at night or reading in bed in the dark. There’s also a night-mode so you can activate it with a press whenever you need a bit of light in the dark. The watch is lightweight and strong to be comfortable on the wrist. It’s a watch that can be used to do anything and go anywhere. There are additional features through the stopwatch and countdown timer, but it doesn’t stop there. You can set up to 15 reminders for important events in the future. You can also set the alarms to go off on weekends, weekdays, or every single day, depending on your needs. It can also be set up with multiple time zones, something the frequent traveler will appreciate. This is an excellent watch by Nixon that has an understated yet elegant aesthetic. The watch band is stainless-steel and there are numerous color options from silver and black to gold and green. This makes for a trendy watch when you consider the dial with printed military style indices and numbers for the 3, 6, 9, and 12 spots on the watch. It is a fairly large watch with a 48 mm diameter case and 13 mm thickness. It weighs in at 4.8 ounces. 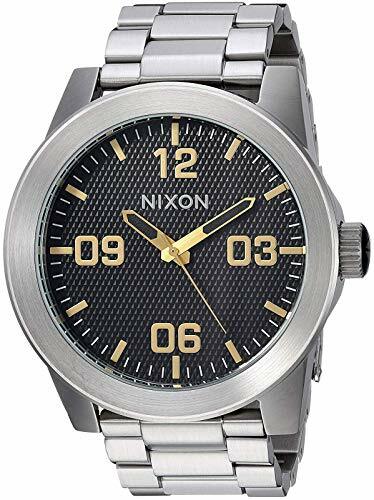 This Nixon Corporal watch has a stainless-steel triple-link design for a masculine design on the wrist. It’s simple to make the watch fit your wrist by removing or adding links as you need them. It has been constructed to last a long time and offers unique lines and angles that will get you noticed. 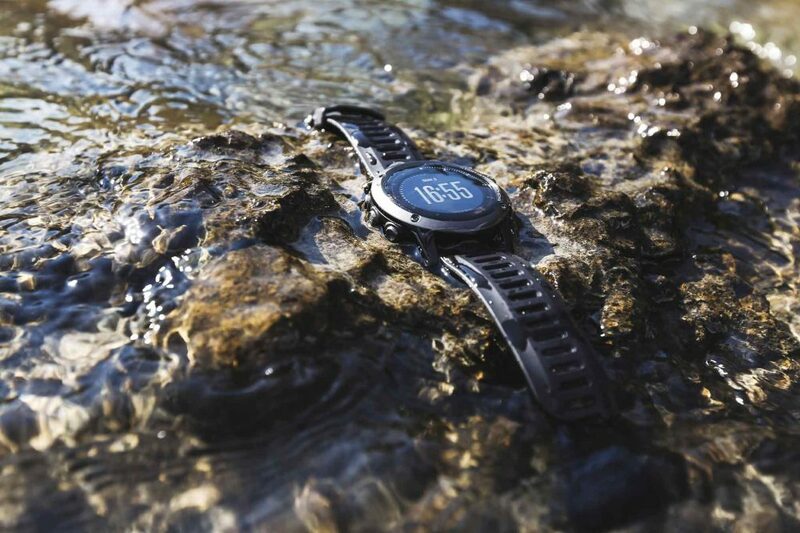 This watch can also hit the water with you and offers water resistance up to 330 feet. This watch is especially great for younger adults who want something fashionable to wear. Reviewers are huge fans of the design as well as the functionality of this watch. The only real con is the size and weight but for many people that won’t be a problem, especially those who actually prefer a larger wrist piece. This watch is ideal for swimming, surfing, sailing, snorkeling and much more. It allows you to dive up to 330 feet and resists water the whole way down. It can also be used in the shower or pool without worry. It’s also super inexpensive and won’t break the bank for anyone so it’s worth a look if you are on a tight budget. It’s a great value for the money with many features you wouldn’t expect. The watch has a Japanese movement which uses the vibrations of a crystal to ensure proper operation of the watch. This offers high-quality when it comes to everything inside of the watch. There’s no need to worry about changing the time or double-checking that everything is synced up. The band of the watch is resin and durable for regular use. This also gives it the sporty look that many love in watches. It is also resistant to cracking. This watch might be inexpensive but it sure doesn’t look that way. It has a black dial, black strap, and black case with white accents for easy viewing of the time. Both the date and day can be seen with ease and the numbers are always easy to read. It’s also comfortable on the wrist and has a bezel that moves in two different directions. It’s light and feels smooth for comfortable daily wear. This is a beautiful looking watch that packs in plenty of features. One of the unique aspects of this watch is that it has three crowns instead of one, all of them located on the left side of the watch. This might sound strange, but it contributes to how easy the watch is to use. Every crown is used for a specific operation so you will need to do far less fiddling around to make changes. It might be confusing at first but once you have it down, it’s a great feature. 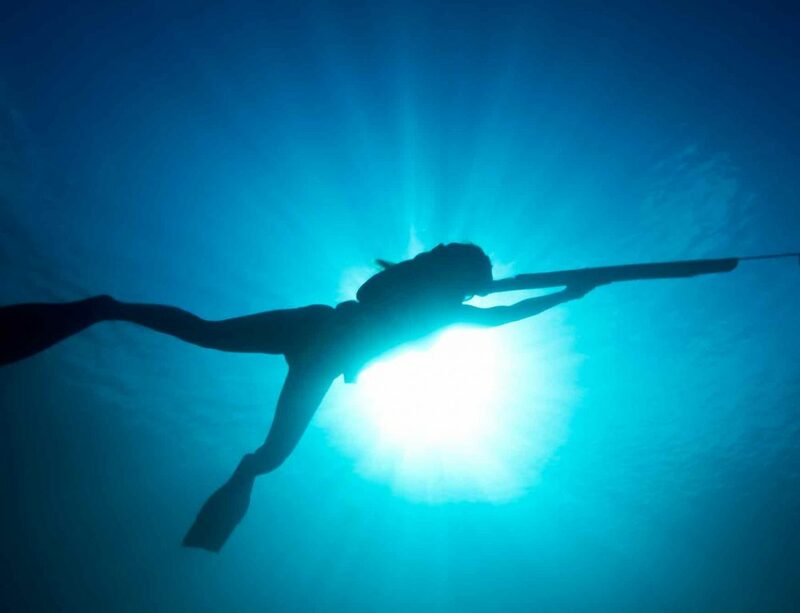 When it comes to diving or hanging out in the water, can expect a high level of visibility and illumination. There are bright hands with luminous markings at each hour so you can easily see the time even 600 feet underwater. The polyurethane band looks and feels nice on the wrist and the buckle clasp ensures the watch doesn’t fall off. The Citizen Eco-Drive Promaster has Eco-Drive technology which removes the need to swap out batteries. Instead, the battery charges from the sun, and only a limited amount of sunlight is needed to enjoy the watch for a long period of time. The case is 53 mm and stainless-steel which makes a real impact aesthetically. The bezel is unidirectional and it has a mineral dial window to avoid scratches. The Casio G-Shock DW5600E-1V is a super inexpensive watch that packs in all the features that most could want. It has a case diameter of 45 mm and weighs in at under two ounces. What might be surprising about the watch is the unique rectangular design. However, this also makes the watch seem a bit smaller than others of the same size. It’s water resistant up to 660 feet and has fantastic shock resistance so it won’t be breaking down on you anytime soon. 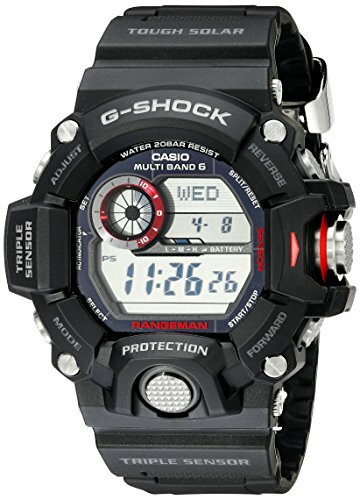 This watch uses digital quartz and has a polymer cushioned case that the G-Shock line is best known for. While this is a somewhat basic model from Casio, that doesn’t mean it isn’t a great watch. The watch is powered by a lithium battery that is able to operate for up to two years assuming you use the alarm and backlight once daily. As far as features go, you will find a stopwatch, calendar, timer, alarm, and illumination. 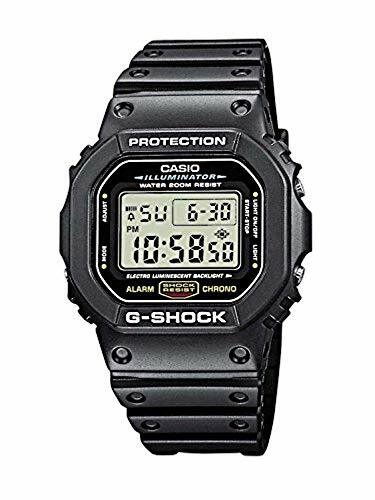 The Casio G-Shock is easy to use and anything that is confusing is covered in the manual. It has a great digital display for quick viewing of the time, and you’ll find switching between functions is a breeze. The backlight works quite well and gives the face a blue glow when in use. It also comes with a removable polymer strap that can be swapped out as needed. 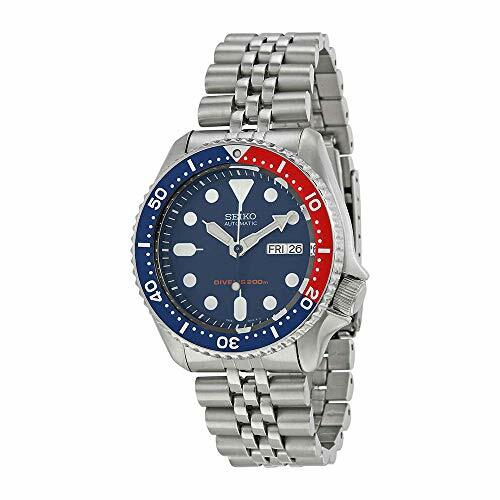 The first thing you’re going to notice with the Seiko SKX009K2 is the dark blue background on the face which complements the blue and red bezel. The case is well-made and solid for long term use. The watch has 22-mm lugs, which also means that you can easily customize the watch with a different band if you prefer that. The case is 42 mm across and has a thickness of 13 mm. It weighs in at just over seven ounces, making it a great watch for everyday use. This watch includes a day and date calendar which you’ll find at the 3 o’clock position. The face of the watch features a non-reflective, shock-resistant Hardlex Crystal covering. The band is made of five-link stainless-steel and features a fold-over clasp and safety closure. This makes it much less likely you’ll lose your watch even when hard at work or play. 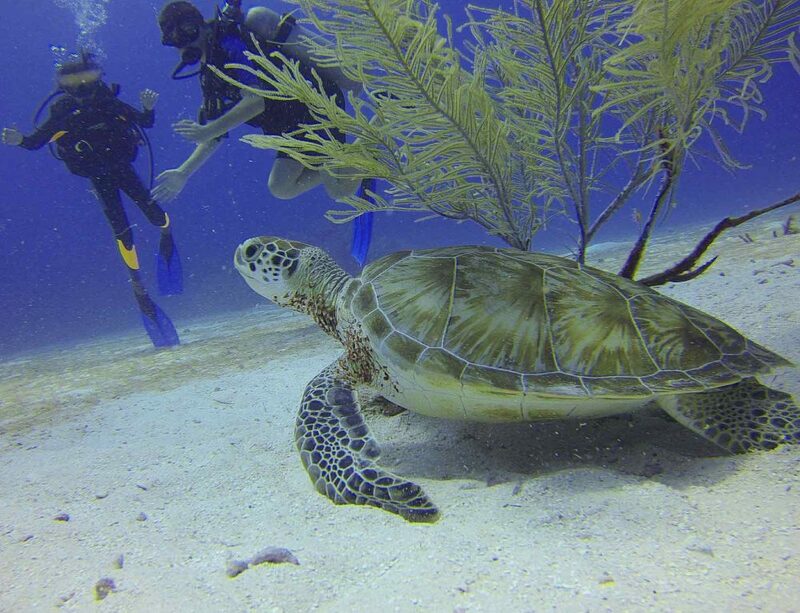 When it comes to diving, this is a solid choice as it can resist water at up to 660 feet. 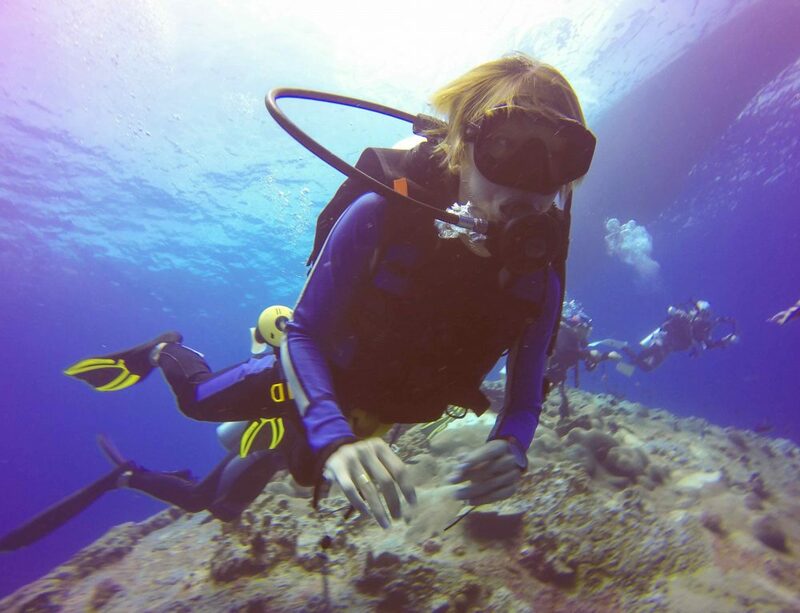 It is ISO 6425 certified for diving so you can trust that it does what it promises in that regard. The bezel for the watch is unilateral and moves in a single direction. Due to having automatic movement, there’s no need to wind the watch. There is a feature for setting the time at the 4 o’clock position. 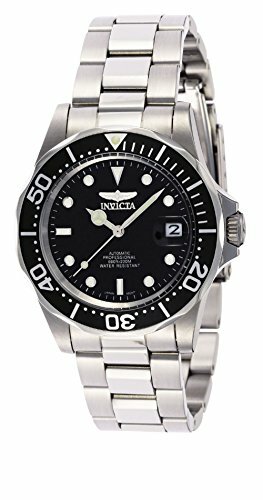 The Invicta 8926 Pro Diver Watch has a beautiful design that harkens to many expensive quality watches from the past. However, in this case, you get all the extras without emptying your entire bank account to do it. The watch is similar in appearance to the Rolex Submariner, but it has its own flair. The crown guards are designed differently, the hands are thinner, and the dials feel different under the fingers. There are a few different things that make this a value pick. One of them is that the case is made of high-quality stainless steel. It also has a Seiko NH35A movement, which is lauded by watch enthusiasts. It’s a 40 mm watch and capable of diving up to 660 feet. You can expect reliable movement, reasonable volume, and a watch that will last a good long while. It also offers a mineral glass crystal. All of this is a decent setup when you consider the price. If you’re someone who wants a watch with the Rolex style and aesthetic, this could be the perfect watch for you to wear whether in the water or outside of it. It does a great job and will look nice on the wrist with a classic design that isn’t garish or overdone. The first thing you need to know when buying a waterproof watch is that the watches are actually only water resistant. This might seem like no big deal but it’s worth being aware of. The best watches for water use will be ISO 6425 certified, meaning they can stand up to the rigors of diving to certain depths. 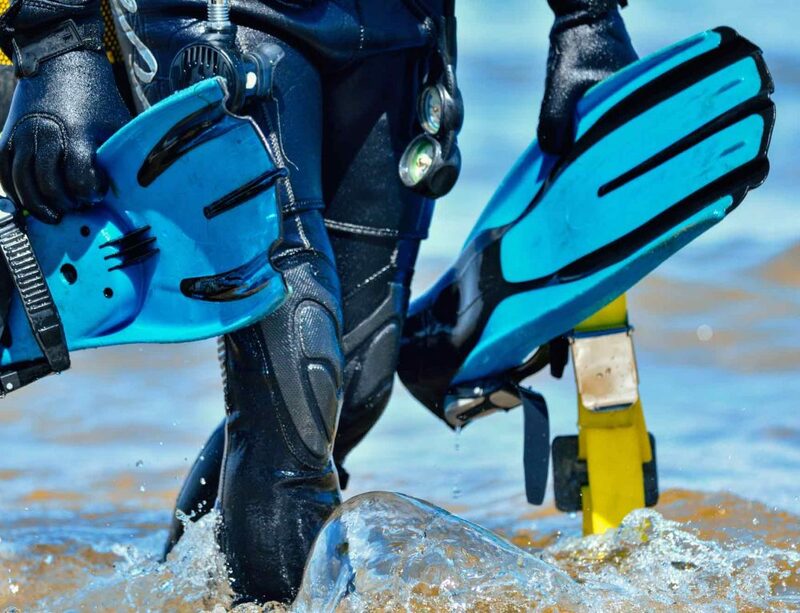 Those who are looking for something for swimming or surfing will likely want to search for watches that are rated for at least 330 feet depth, although they can go all the way up to 1,000 feet for divers. Having a watch that fits your wrist is a must, so paying attention to the type of band is crucial. You want to look for a band that is long-lasting and durable, especially if it will be spending time in the water. That tends to be the case when choosing a waterproof watch, so it comes down to a matter or personal preference. Cloth bands and other materials that will sop up water are not recommended. Leather is also a bad idea as water can change the shape of the band itself. The material should also be comfortable on your wrist and the band should fit well. There are all sorts of watches out there, some of which comes in analog and others that come in digital. The choice will depend on your own needs and preferences. An analog watch will often have a higher water resistance level than a digital one, simply because it has fewer parts on the inside. This is especially true if the watch doesn’t require you to swap out batteries. On the other hand, digital watches often have a large feature set. They also last a long time on a battery but will require some sort of power source. These watches tend to have things like stopwatches, timers, and calendars. Features are being built and added all the time so in many cases, you can find a great digital waterproof watch for a decent price. Years ago, a watch was simply a watch. You used it solely to keep track of what time it was. Nowadays this isn’t the case. Watches can measure and track all sorts of important things. Some of them track distance, others track temperature. There are watches that track your footsteps, heartbeat, and more. If you’re someone who likes to use your watch to help with training, some of these features can be handy. It’s easy to track your progress using your waterproof watch. 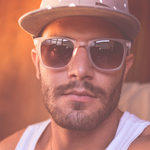 Even those who aren’t actively training may find some of these features worthwhile. Quality is important when it comes to any new purchase and a waterproof watch isn’t an exception. When you choose a watch of a higher quality, it’s likely to last longer, keep time easier, and offer a larger number of features. In most cases, higher quality watches are also going to cost a bit more. The watches on our list are high-quality and most are reasonably priced. Taking a look at the construction and materials used in a watch will go a long way toward ensuring you get a fantastic watch. There are several things to consider when choosing the right waterproof watch. You have to think about the functions, how water resistant it is, and how it will fit your wrist. This article will give you the information you need to select a watch that fits your needs. Think about what your needs are and use that to guide your search. You will soon have a great waterproof watch on your arm the next time you plunge into the water.